Or more specifically, how to choose a good locksmith in my local area? Property security is a sensitive area and choosing a locksmith calls for careful consideration. You may be surprised to hear the UK Locksmith Industry is unregulated! It concerns me a great deal that there is a lack of awareness that many locksmiths trading legally are not qualified or even CRB checked. This in itself is not a good place to start when you are talking security. When considering how to choose a locksmith, experience, knowledge and reliability are key (pardon the pun!). Choosing a fully qualified Master Locksmith guarantees that the locksmith you are entrusting your security to has been through rigorous training, is DBS (Disclosure Barring Service) checked and inspected on a regular basis. The Master Locksmith Association also provides their members with monthly meeting updates on the latest developments with the industry. 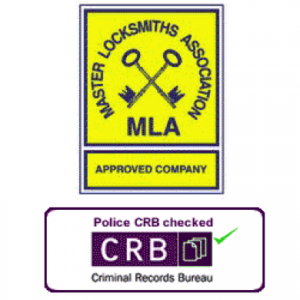 Before you call a locksmith check on their website to see if they are qualified MLA members. If they are you will see the MLA approved company logo. You can also check for a CRB certified logo. On arrival at your property, the locksmith can show you their Master Locksmith Association identity card. It is important that you check the identity of the locksmith before allowing them to enter your property and work on your locks. The best way to search online for a locksmith in your area is by going directly to the MLA website where you can search for all MLA locksmiths in your area using your post code. The MLA is a non-for-profit organisation that’s been trading since 1958, unlike the majority of its counterparts that have jumped on the bandwagon over the past 10 years. Meanwhile, whilst it isn’t a legal requirement to be a licensed approved Locksmith, those who choose to, take their trade very seriously. So you have found a locksmith in your area and are wondering how much locksmiths charge? When shopping around you may find a variation in the quotes you are given. – Don’t be fooled by a low quote which gradually creeps up as the job proceeds. – A lock can be opened without the use of a drill in 90% of cases. (No Locksmith can guarantee that they can open every lock on the market, there will always be one lock they cannot open ‘non-destructively’). Just be aware that drilling unnecessarily can mean the customer has to foot the bill for a new lock. Asking the correct questions on the phone will ensure you are getting the full picture and an accurate quote. Ask what the labour charge is? This is often on top of the labour charge; most London locksmiths like ourselves do not charge for this! How much will the locks cost? Try and find out an approximate price for the product….sometimes this is not possible, however, emailing through a picture can allow them to be more accurate. Top Tip – Once you have all the information to hand and have agreed on the price, tell them you will be getting the exact amount of money out of the bank, so they don’t give a higher price on completion of the job! We believe IKS Locksmiths offer one of the most competitive services on the market. Being mobile master locksmiths enables us to keep our overheads low and pass these savings on to our customers. We also service areas which are easily within reach, something that lowers the response time, together with travel costs… This leads me onto my next point – Convenience. If you need a job done urgently you will need to find an emergency locksmith who responds 24/7, as we do at IKS Locksmiths. Not all locksmiths are available in the evenings and at the weekends. Choosing a genuine local locksmith should be a top priority when it comes to choosing a locksmith in your area. This will ensure a quick response time/lower cost. Check the website for the address. If the address isn’t there, they are probably not that local. 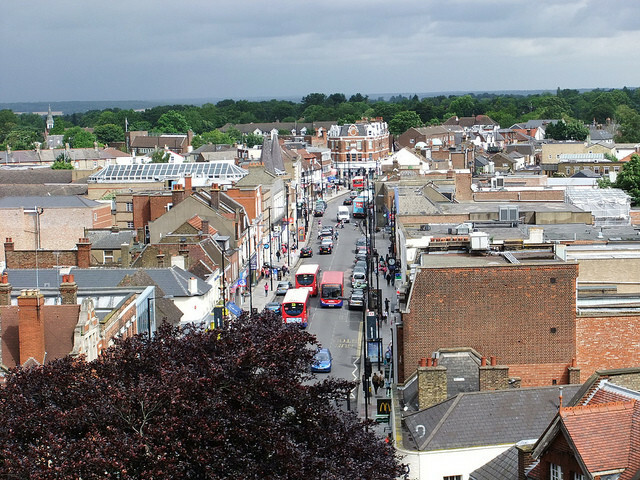 Based in High Barnet, IKS Locksmiths only cover areas that are local to us and can be accessed quickly and easily. No address on the website is an indication that the company may be operating over a large area. This can have a number of disadvantages, as well as longer response times. 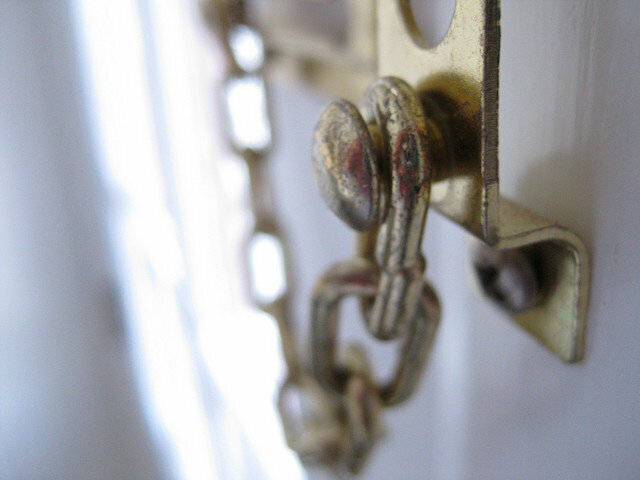 The locksmiths may not be working directly for the company and therefore may not be vetted by the firm. The person who takes your call may be in a call centre and may not have the knowledge to give you an accurate quote. This slows the process down, potentially causing miscommunications. Meanwhile, locksmiths not working directly for a company may not be as concerned about offering a high standard of customer service. At IKS Locksmiths we ensure that all locksmiths attending your property are knowledgeable and provide excellent workmanship and customer service. Imagine a locksmith arrives at your property; I’m sure you would like to know that, in the majority of cases, the locksmith will assess the situation and have the lock required with them. However, this isn’t always the case. When a part is required it can mean a locksmith having to take time to source the part, causing inconvenience for you. Worse-case scenario, imagine you are paying an hourly rate and are being charged for the time taken to find the part! With this in mind, IKS Locksmiths maintain good levels of stock for a range of locks, meaning that – in 80% of cases – locks are available at the time of the quote. A recommendation from a previous customer is particularly valuable. They will know what the locksmith charges and how good their workmanship is. At IKS Locksmiths, we are very proud to say that a large proportion of our business is from recommendation. We encourage all of our customers to review us online to spread the word. These are perhaps less reliable as they can be reviews done by absolutely anyone – quite often one of the Locksmiths mates or family. So bear this in mind when searching. When you look at the reviews, if they are all spread out over a long period of time it would usually suggest that they are genuine reviews, whilst if they are all written in the space of a fortnight then it would suggest they are bogus reviews. Quick Guide – Finding a Reliable Locksmith in your Area….. The best time to go through this process is in advance of an emergency. You don’t want to make an important decision about who to entrust your security to on a whim. I recommend sourcing a good Local Locksmith and keeping their contact details on hand in case of an emergency. Good luck with finding a reliable Locksmith in your area. I hope this has been helpful to you. I would be happy to answer any questions you may have on the subject.